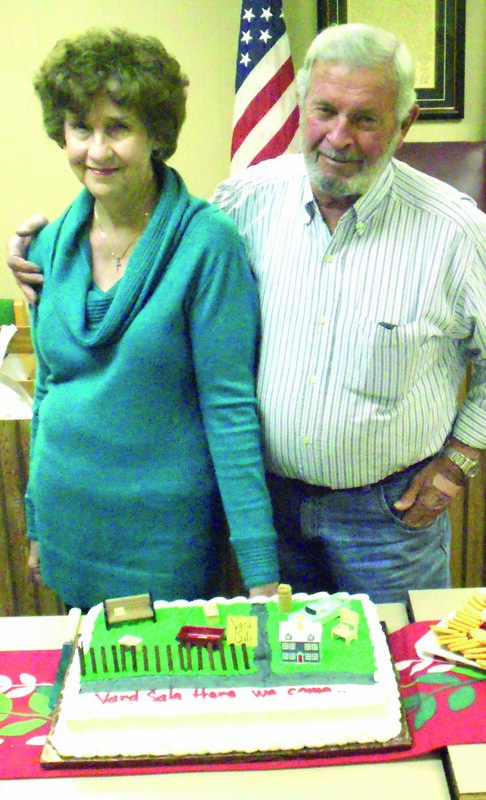 Yvonne and Robert Hitt at his retirement party in January at the temporary Webster County Courthouse. Hitt retired as Webster County’s District One Supervisor at the end of December 2015, after serving in the elected position for 12 years. During that time, he served one term as President of the Board of Supervisors. Prior to serving in his elected position, Hitt worked for the county for five years. Hitt said he also enjoyed helping Webster County get the roads and bridges in good condition in his district and working alongside the other supervisors to solve problems that would come up in the county. He also enjoyed the Supervisor Conventions, having the opportunity to meet others solving many of the same problems around the state. One of the biggest issues during Hitt’s tenure happened when the Webster County Courthouse burned in January 2013. Hitt said getting the older building in Eupora ready so quickly to be used as the temporary courthouse was one of the most interesting highlights of his time as supervisor. “It was the most interesting project because it had to be done so quickly after the sad occasion of the old courthouse burning,” Hitt said. During his tenure as supervisor, his wife, Yvonne, has served as the financial secretary at First Baptist Church of Eupora, where she and Robert are members. And much like her husband, Yvonne enjoys the church staff and church members that stop by the office on a day-to-day basis. During her time at FBC Eupora, she has worked with two pastors and one interim pastor; four ministers of music and one interim; five youth ministers and two children’s directors. “I especially enjoyed taking part in two productions of ‘Heaven’s Gates and Hell’s Flames’ that the church put on in two different years,” Yvonne said. In their spare time, Robert loves hunting and fishing, while Yvonne loves to read. The Hitt’s also enjoy auctions, yard sales, traveling – especially to visit family that live out of state — and playing with “sweet great-grandbabies.” Robert also loves hunting and fishing, while Yvonne loves to read.